Zakk Wylde took his guitar-playing talents to the United Center in Chicago to shred a guitar version of the national anthem at a Chicago Bulls game last week, and it was an incredible moment. Hearing Wylde’s famously massive guitar tone booming through the arena, with plenty of soaring moments throughout, is certainly a special thing. Footage from the performance is posted now on Facebook. The Bulls game is happening at the same time of Black Label Society’s current headlining tour, which also reached the Windy City this week. 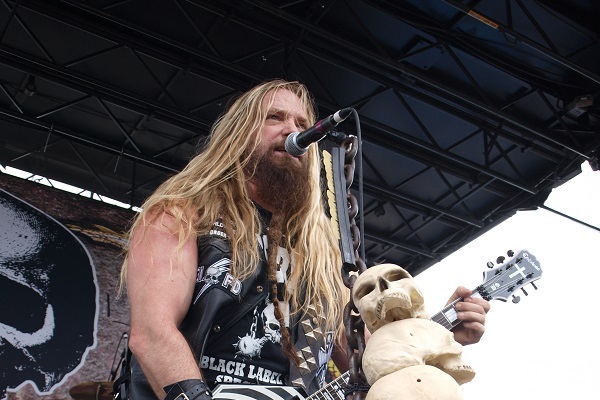 Wylde and company are currently touring North America to promote their upcoming studio album, “Grimmest Hits,” which will arrive at all the usual outlets on Jan. 19. “Room of Nightmares” and “All That Once Shined” are two tracks that the metal gents have released off the album thus far. There’s much more ahead for Wylde in 2018, even aside from the Black Label Society work. Wylde will be playing guitar in Ozzy Osbourne’s band for Ozzy’s highly-anticipated farewell tour, which kicks off in May and is slated to run through 2020. It will mark Ozzy’s final worldwide tour.